The practice to add fluoride to tap water in the United States dates back to more than 60 years ago. The element improves bone health and prevent cavities. However, we don’t fully understand the side effects of this chemical element in neurodevelopment. To shed more light on the problem, the researchers studied data from over 280 mothers from Mexico City. These mothers (and later their children) have been followed since 1994 under the Early Life Exposures in Mexico to Environmental Toxicants (ELEMENT) project. The research team analyzed urine samples from pregnant women and followed their children’s development through the years. Even after adjusting the data to other external factors, the researchers found that high levels of fluoride in pregnant women correlated with problems in perceptual-performance, quantitative, memory, and motor abilities of their children. What does it mean for people in the United States? 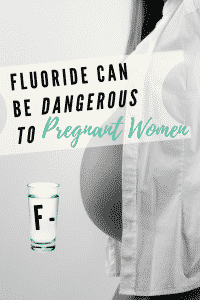 The levels of fluoride in the urine of pregnant women in the US is slightly lower than in Mexico. However, it is unclear whether there is any safe level of exposure to this chemical element. Dr. Hu states that further study is necessary to determine the full risk of fluoride on the development of the brain. Like in the case of lead contamination and its effect on our children, it is extremely important that we pay close attention to what we consume and let in our home. Make sure you demand clear and transparent safety regulations to your local authorities. Our children’s health is our countries’ greatest asset.